As a recruiter, you want to be successful at your job and have a good reputation with your clients and candidates. However, did you know that every day you are incorporating new practices that can be detrimental to your success if not used in moderation? From my experience in training and observing how many recruiters conduct business, there are several things that recruiters everywhere need to stop doing immediately if they want to be successful. There is a growing trend that I have noticed over the last several years in the recruiting industry – more reliance on email and social media. While both email and social media are helpful tools, they can also be overused and too heavily relied upon. Take a look at your recruiting strategy and how you are reaching out to clients and candidates. As a recruiter, you have many different resources to utilize for contacting people: phone, email, social media, video interviews, etc. It is important to make sure that you are using all sources rather than relying heavily on one or two. In the past, I have observed recruiters who seem to be terrified of picking up the phone and calling a client or candidate. They would much rather send an email asking pertinent questions. Think about the time involved with this. When you send an email, you must wait for a reply, hoping that the recipient is checking their email soon. On the other hand, when you pick up the phone and call, the chance of the person answering and being able to quickly respond to your question is a much faster solution. In recruiting, speed is of the utmost importance. We must have a sense of urgency or else another recruiter somewhere else will be picking up their phone and speaking with your clients and candidates before they have ever checked their email. 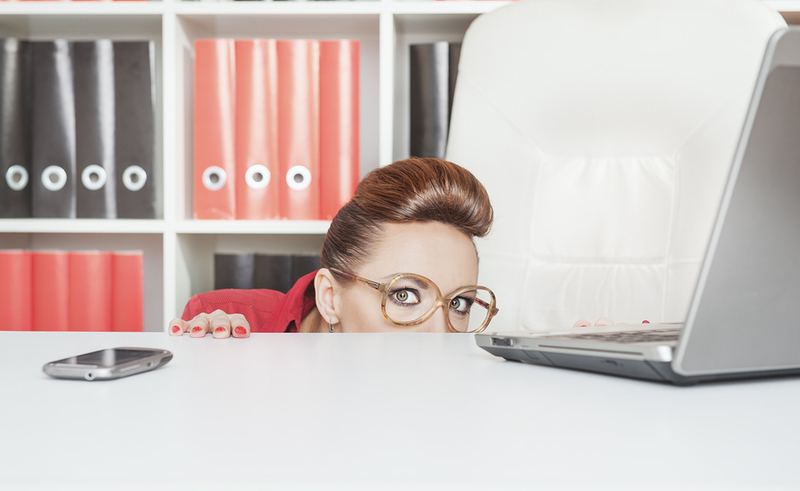 Recruiters, please stop hiding behind your emails and social media. Do not be afraid of picking up the phone and having real, live conversations with your clients and candidates. By having real conversations you are deepening your relationships with people, which your clients and candidates will notice and appreciate. Likewise, do not be afraid of video. Live video interviews are an excellent way to get to know your candidates better. Being able to see their responses to your interview questions and have a better understanding of their personality can help you ensure that you are submitting the best candidates to your clients. Bottom line, out of all the sources of contact, you should be spending the majority of your time using the telephone for communication between clients and candidates. Some of you may be tempted to skip over this one, positive that you have never ignored a client. Do you reach out to your existing clients once a month to continue building those relationships and check on their customer satisfaction and recruiting needs? Are you reaching out to potential clients once a month to build relationships with them and check for their upcoming recruiting needs? If you are not in constant communication with your clients, you are ignoring them. Every recruiter needs to schedule time each month on their calendar to call and touch base with clients. In addition to this, when your client calls or emails you for help or advice, you need to promptly get back to your client within the same day. If you do not have an answer, let them know you received their email or phone call and will get back to them by end of day or the next day with an answer. Once you start communicating with your clients more frequently, you will notice your clients will begin to have more trust and a more comfortable relationship with you. If you are not calling your clients each month or returning their calls and emails same day, don’t be surprised when another recruiter swoops in and woos your client away from you. Just as you should not ignore your clients, you should never ignore your candidates. If you are not in communication with your submitted candidates at least once every two weeks, you are ignoring them. Touch base with your candidates, even when you have no update. Calling a candidate to let them know you are waiting on feedback from your client and that you haven’t forgotten them, will make all of the difference in your candidate’s experience. Top talent will be more likely to refer you to others when they know you can be relied on to communicate and stay in contact. When you fail to keep in contact with your candidates, the chances are high that another recruiter will call them and take them under their wing, leaving you with an open position and a candidate who is no longer available or returning your calls. What are some other things that we do as recruiters which prevent us from being successful? Please share your comments below.